Dance your cares away just in time for the holiday season, when two great Fraggle Rock™ DVD collections become available from Lionsgate Home Entertainment: Fraggle Rock: The Complete Final Season (Season 4) and Fraggle Rock: The Complete Series Collection. From a fun-loving group of furry subterranean creatures came millions of fans, 100 original songs, 96 total episodes, four seasons, and more than 1.4 million DVD’s sold to date. The Jim Henson Company’s Fraggle Rock series is still adored by fans all over the world. Share in the music and memories that have kept fans rockin' for 25 years in these ultimate fan collections. 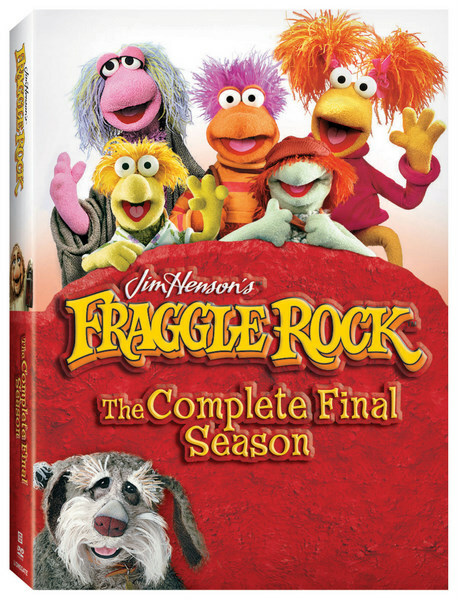 Season four becomes available for the very first time in its very own DVD Set in Fraggle Rock: The Complete Final Season -- a five disc set that contains all 24 episodes including the series finale and comes in glossy O-Card packaging. Fraggle Rock: The Complete Series Collection is a value set package that includes ALL 96 episodes of the series in a 20 disc set with over 47 hours of content as well as interviews and featurettes representing over 8 hours of bonus features in a fully loaded DVD set. Both sets are in stores November 3, 2009. The Jim Henson Company’s beloved children’s television series, Fraggle Rock, ran four seasons (96 episodes) from 1983 to 1987 on HBO accompanied by a unique mix of music, from folk, blues and gospel to country and rock. The series entertains and encourages an understanding and embracing of diversity. Starring a variety of quirky cave-dwelling creatures, the world of Fraggle Rock is a unique place where three different, yet surprisingly similar communities learn to live and work in harmony. With five International Emmys (including the award for “Outstanding Children’s Program”) and a Cable ACE Award to its credit, the series broke new creative ground for children’s television in the 1980s and continues to earn new fans to this day! SYNOPSIS: Fraggle Rock: The Complete Final Season: Let the music play and complete your collection with season 4 of Fraggle Rock, featuring the final 24 episodes, including the touching series finale. Enjoy the Fraggle-filled musical fun with the cantankerous Gorgs, industrious Doozers, and the silly creatures from “Outer Space” – Doc and Sprocket – in this 5-disc set available for the first time in its very own DVD set! Experience exclusive bonus features such as behind-the-scenes interviews with the puppeteers, take a peek inside the final day of shooting, and discover the evolution of the Fraggles’ beloved toe-tappin’ theme song! So save your worries for another day, because you can never leave the magic of Fraggle Rock!